Possibility of lowering the sanding belt for full belt utilisation, achieving greater efficiency. Quick, simple belt changing - short changeover times. 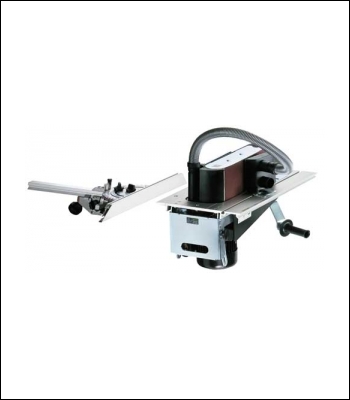 Tilting sanding belt for sanding chamfers and sloping surfaces with ease. Powerful motor for sanding large areas with minimum effort. Sanding recesses and curves. Simple, accurate sanding. Quick and easy edge sanding.